VIJAYAWADA: Two staunch political rivals for over the past couple of months — TDP chief and AP Chief Minister N Chandrababu Naidu and BJP state chief Kanna Lakshminarayana — will come face-to-face on Wednesday. Both of them will accompany Union Water Resources Minister Nitin Gadkari to the Polavaram project site. This is the first visit of Gadkari to the project site after the TDP-BJP split. While the BJP leaders will reach the project site early on Wednesday, Naidu, who will return to Vijayawada from Singapore late on Tuesday night, will leave for Rajamahendravaram after the inauguration of Anna Canteens at 11 am. 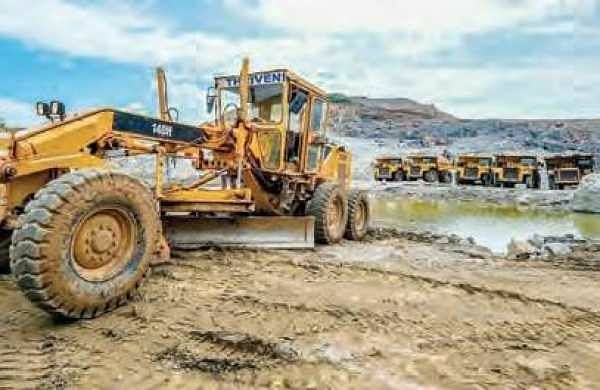 Speaking to reporters on Tuesday, State Water Resources Minister Devineni Umamaheswara Rao said the Union minister would reach Rajamahendravaram by 3 pm and leave for the project site for inspection. “After inspection, the Union minister will review the project. Chief Minister Chandrababu Naidu will also be present,” he said. He said that the State government would request Gadkari to approve the revised cost estimates of about `57,000 crore at the earliest so that the works would be completed by June, 2019. “We will also request release of Rs 10,000 crore immediately so that the works pertaining to land acquisition, rehabilitation and resettlement can be taken up and completed by March next. Further, we will also seek reimbursement of Rs 2,285 crore spent by us on the project,” he explained. Devineni also said efforts were on to generate power from the 960 MW hydel power plant by 2020. “APGENCO and the contracting agency are working to generate power using at least one turbine by 2020. We will expedite the power plant works also,” the minister added. Though BJP chief will be present at the project site, there will not be any intervention by the party leaders with respect to Polavaram project related issues, sources said. After the Polavaram inspection on Wednesday, Union Water Resources Minister Nitin Gadkari will leave for Visakhapatnam, where he will meet the State BJP leaders at 6.30 pm. BJP state president Kanna Lakshminarayana said the irregularities in land acquisition, rehabilitation and resettlement of the Polavaram project would be taken to the Union minister’s notice. He also said the State leaders would appraise Gadkari of the other issues pertaining to the implementation of the national project.